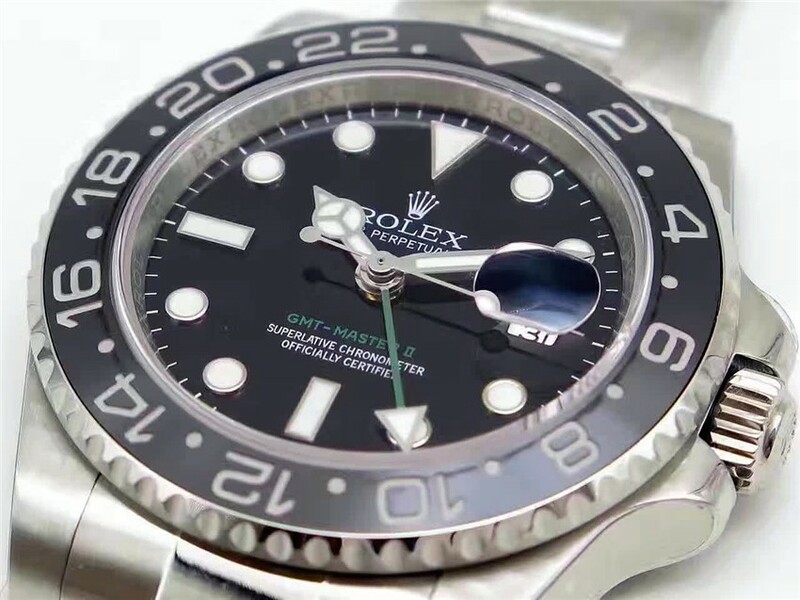 Rolex GMT II is the popular choice for frequent flyers and professional aviators. 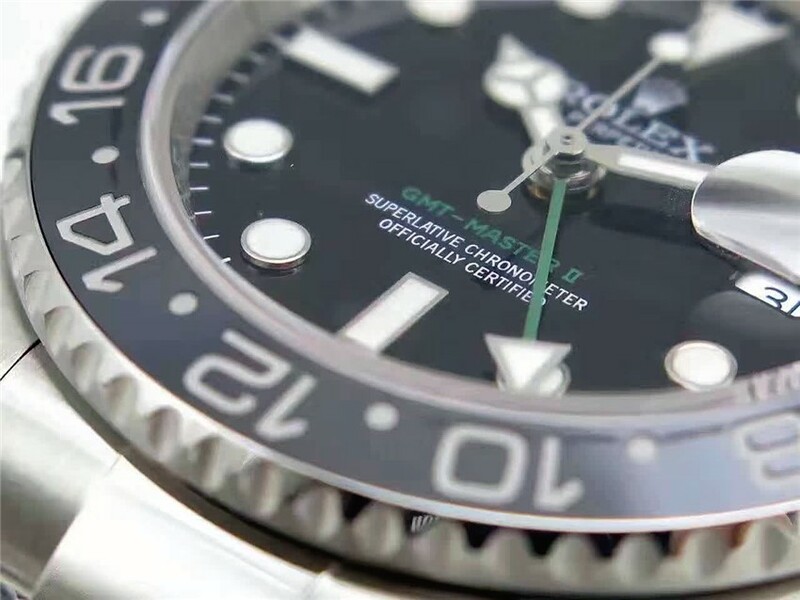 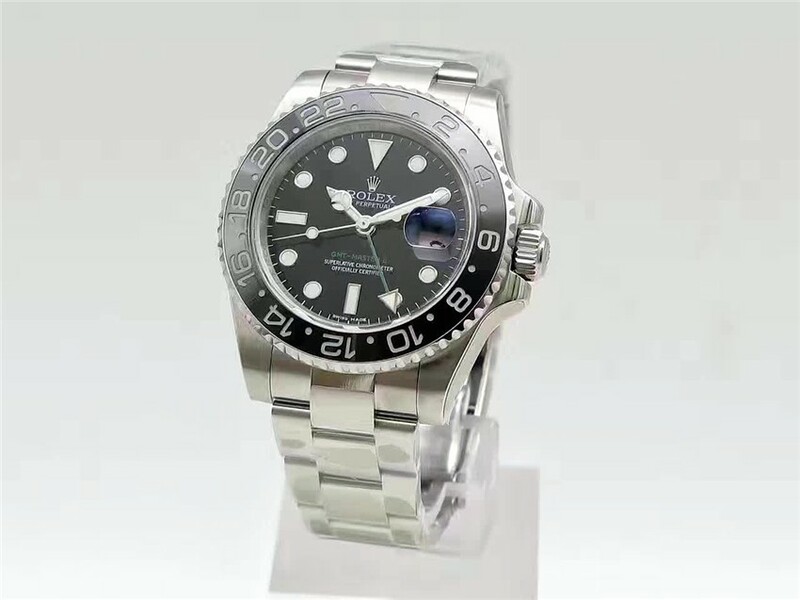 Although GMT II especially designed for professional uses, its incomparable characters and outside designation are being warm welcomed by tourists. 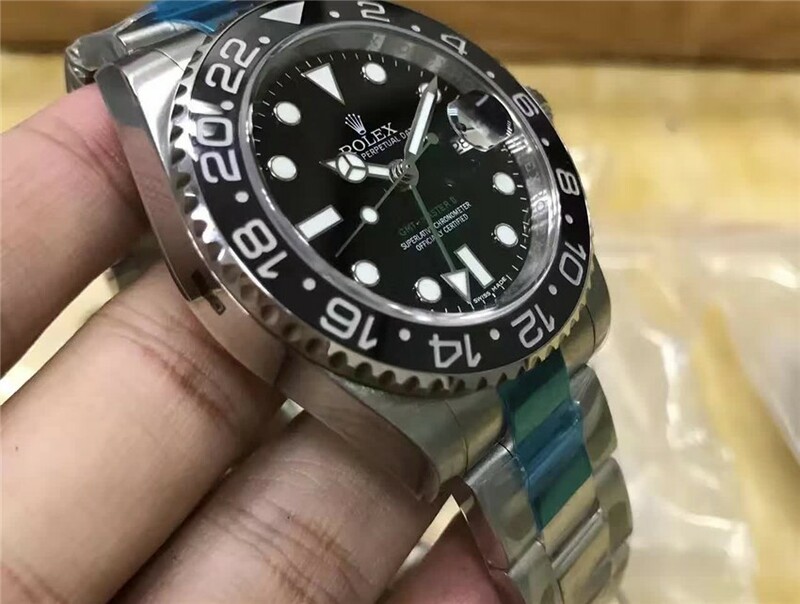 Besides equipped with different Z Zone Time function, its strong material and easy matched appearance not only fit for wearing travel around the world, but also fit for any occasion. 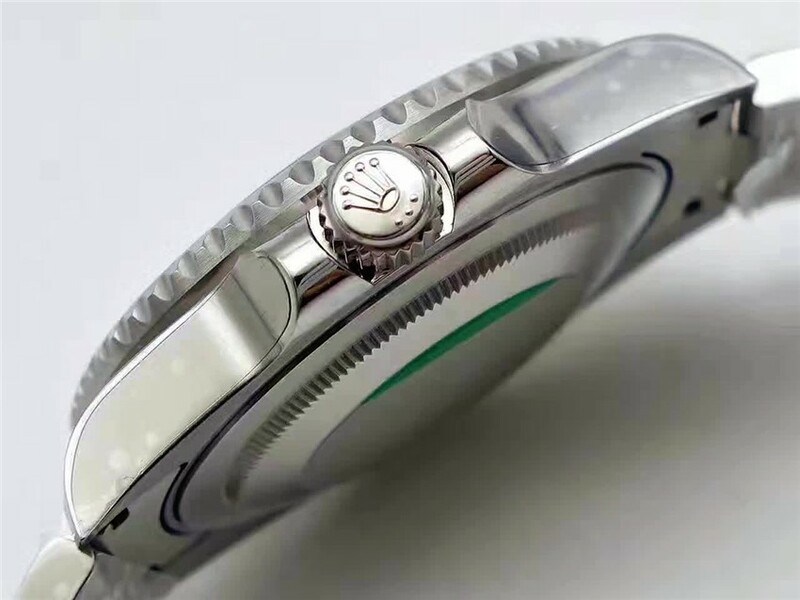 Material：Genuine solid 316L Stainless steel, polishing and brushed finish; Ceramic Ring, Fluted Bezel. 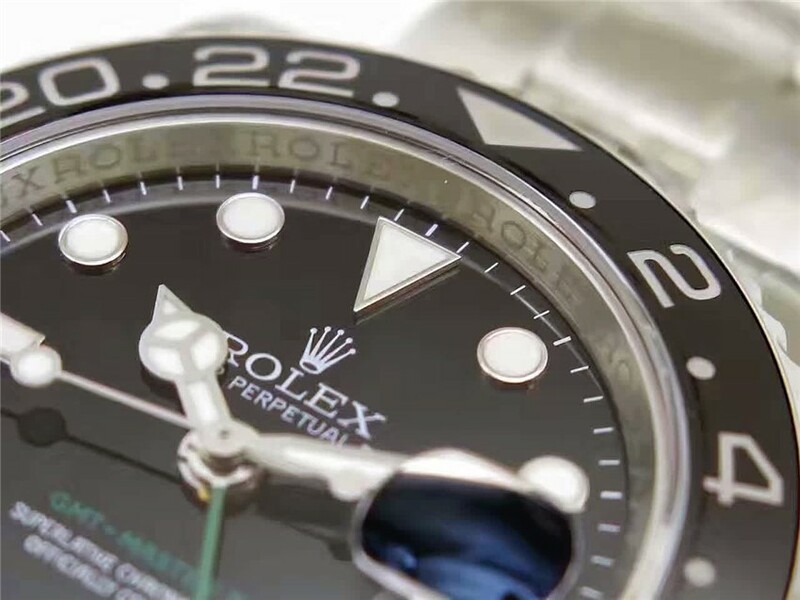 Dial：Black Dial with Dot Hour markers, hour hand, GMT hand, minute hand, sec hand. 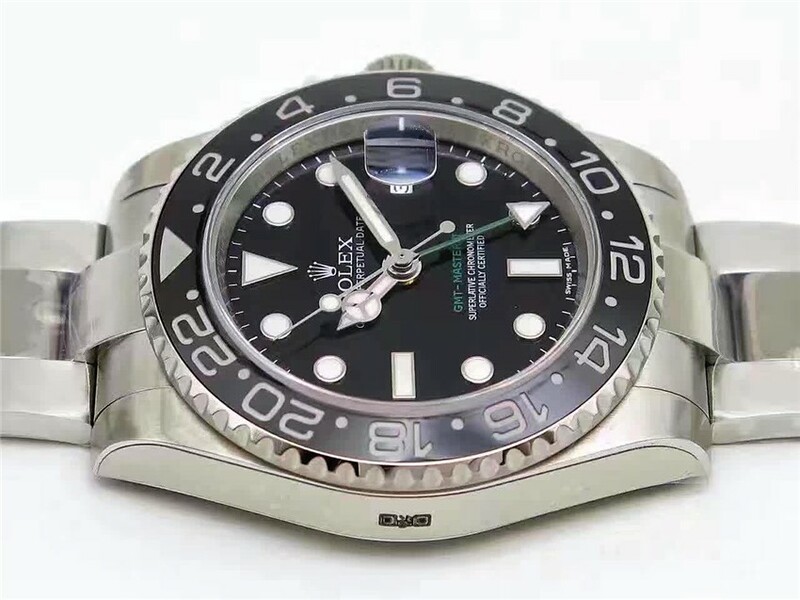 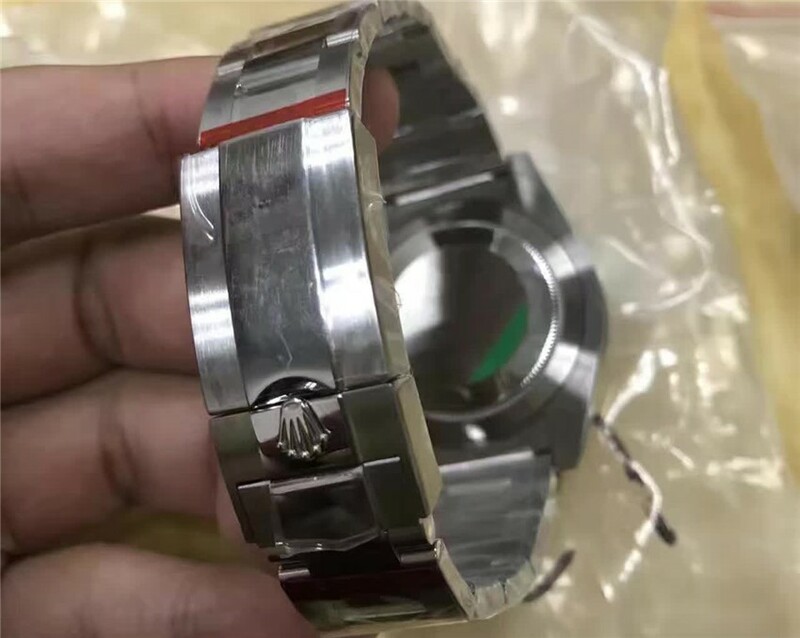 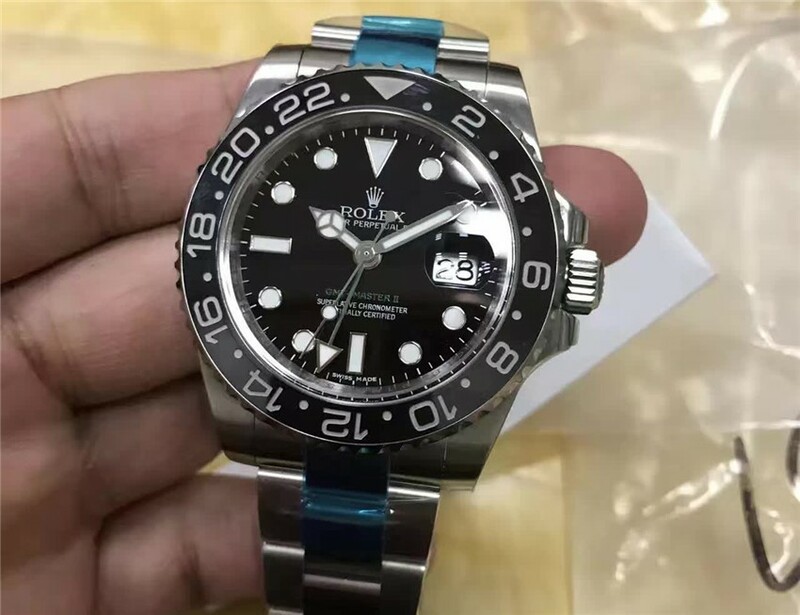 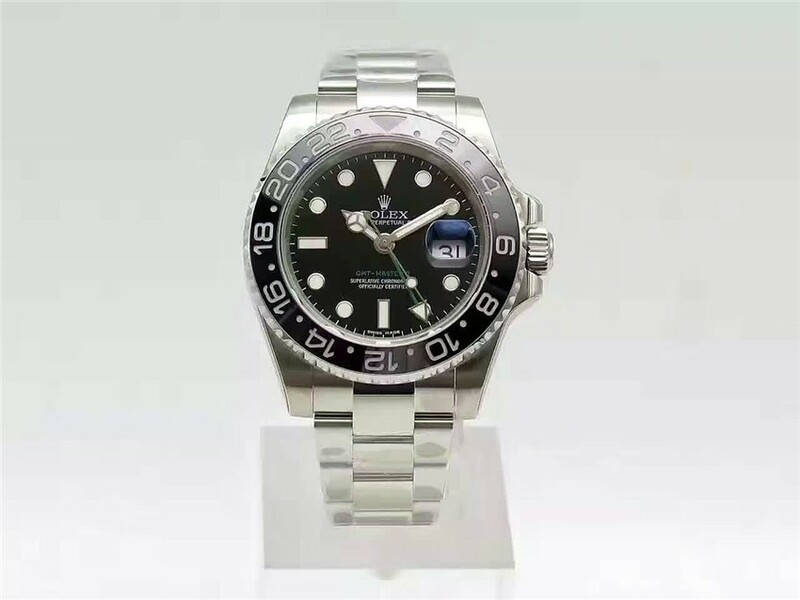 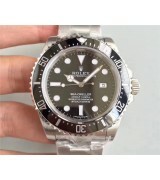 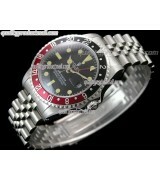 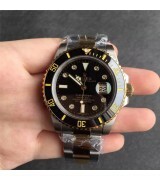 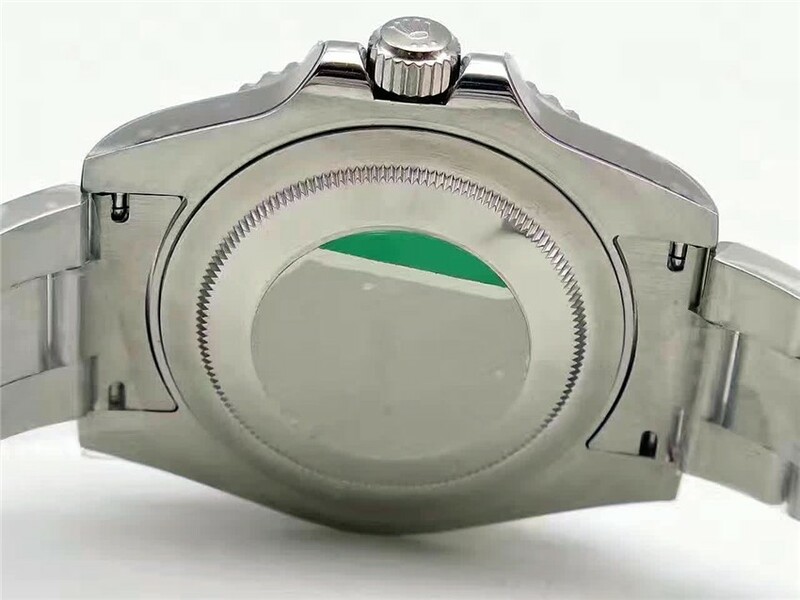 Highlights: Come with Rolex Cloned 3186 Movement, the position of GMT hand Corrected. 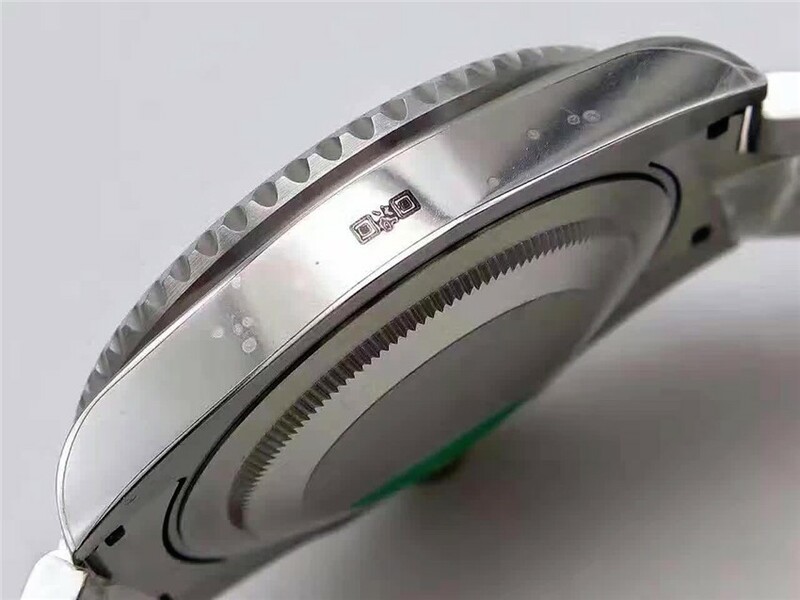 Model：Genuine Swiss Rolex Cloned 3186 Automatic movement, perpetual rotor winding bi-directionally for the mechanical movement. 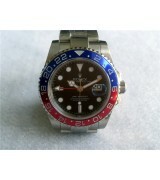 Function：Hour /Min /Sec, Sweep second hand, Date window at 3:00, Blue GMT hand.